I want to tell you a little real story that inspired me to write this article: a few weeks ago I was having a conversation with a young pianist (a teenager) and his mother. I never heard him playing (he is not my student), so I don’t know how skilled or talented he is. During the conversation, his mother said something like this: “My son has to protect his hands, that’s why I never ask him to help me around the house or carry a heavy bag”. With the risk of spoiling the young man’s easy lifestyle, I told her that this is another piano myth and the reality is quite different. Then I thought that there are indeed many pianists out there who honestly believe that their hands are made from delicate porcelain that could easily ‘break’ from a simple effort! This is entirely not true! Of course, any person – musician or not – has to be reasonable about his health and the risks he’s taking. We have to know how to exercise correctly, we should be aware that when we lift something heavy we have to synchronize the maximum effort with the exhalation and keep our hands relaxed while carrying a bag. In rest, everything is allowed in sound quantities! You can even practice martial arts if you want – a correct practice will have only positive effects on your arms and your self-confidence! Not to mention other things like cleaning the house or enjoying outdoor activities. What you should NOT do is make an excuse out of your piano practice that will justify your unconscious laziness! Another stereotype is the common belief that playing piano is enough for keeping your hands strong, stretched and flexible. Somebody asked me these days: “Does piano practice exercise all the muscles in your arms?” The answer is simple: Of course not! Playing piano definitely has some benefits for your hands and fingers, but it is NOT a workout or a holistic health-improvement system. You can’t have strong arms only by practicing piano. Let me be more specific: if you’re playing correctly, all the parts of your body used in piano playing – consisting of your back, shoulders, elbows, forearms and wrists – should be relaxed, ‘channeling’ their weight towards the fingers. That’s why the main muscles located in the upper and lower part of your arms are not supposed to be too active (and get tired – as in a real workout) during your piano practice. 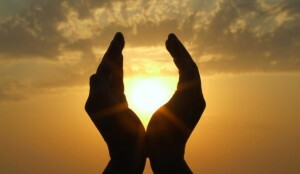 Actually, I might say that the fingers are the only part of our body that gets strengthened during your practice. You probably noticed that all professional pianists have strong fingers with protuberant knuckles – the result of hyperactive finger joints. So, if you want to have strong, flexible arms capable not only of brilliantly playing piano, but also performing many other various tasks, it’s time to let go of old stereotypes and myths. Your hands will surely not break if you use them for something else besides playing piano. A pianist’s hands don’t need to be ‘protected’. Your shoulders, forearms, hands, wrists and fingers need to be constantly trained and strengthened. There are so many ways of doing this – just choose your favorite dynamic activity or combine several methods! Push-ups, stretching, or the more complex yoga and martial arts can do wonders with your back, shoulders and arms, strengthening them and making the piano practice much more productive! So, no matter if you’re a man or a woman, stop playing the ‘fragile mademoiselle of the 19th century’ who’s afraid to lift an extra pound, worried that it might damage his/her pianistic hands! Learn how to be strong, stronger than the majority of people, and learn how to relax – this way you’ll never overwork your hands. Take a deep breath, straighten your back and go outside! Start with simple exercises – a few push-ups, a few easy stretches, then gradually increase the complexity of this practice. You can also learn online many other exercises that will make your arms stronger, steadier and more flexible. Also, don’t forget that the piano practice routine (even the correct one) may have a detrimental effect on your spine – after all, we spend HOURS every day in the same seated position. That’s why it’s so important to exercise not only your arms, but your whole body! In my next posts I’ll show you a couple of effective exercises for the back and arms that will help you get rid of the unpleasant side-effects of a long piano practice. You probably noticed that we all have a certain comfort zone. It is created during childhood and, for the majority of people, it persists for the entire life. For most of us it means just what it says – comfort, familiar territory, warm and safe environment. However, you also probably noticed that all people who really accomplished something in their life did it by exploring and conquering new unknown territories – either we talk about business, sports, painting or piano playing. Stay out of your comfort zone and always keep your mind open! Don’t be afraid to learn and apply new things into your practice – even if nobody did them before you ! Limiting beliefs and obsolete stereotypes are separating us from the complexity of this world, imprisoning us in a cage created by our own mind. So what if the mainstream piano pedagogy does not tell the students to practice yoga, to lift weights or to do push-ups? How can they know the positive effects of such activities if they never tried them? To make a comparison, I’ll remind you of another real story, this time the one that changed the history of piano playing: Have you ever read about the reaction of the ‘academic circles’ to the revolutionary piano technique promoted by Chopin and Liszt ? Before them, the ‘correct playing’ meant using only the separate movement of your fingers, without involving the wrist or the weight of the entire arm. This technique was suitable for the harpsichord, but it was definitely not able to explore all the complexity of the new instrument – the hammerklavier (or, as we call it today – the piano). When Chopin and Liszt started to play in a different manner, by using their entire arms for a better control of the sound and a more powerful expression, the old professors started to criticize them, of course, proving to everyone how ‘incorrect’ their playing was. Can you imagine what could happen if everybody listened to the representatives of the old school? The piano could have remained until today an ‘unexplored territory’ with limited expressiveness and a narrow dynamic diapason. That’s why I consider that today it’s time to take another step forward. Our modern lifestyle is too challenging and complex. How can we cope with the new realities by employing only yesterday’s solutions and recipes? How can we stay ‘in tune’ with the new millennium without changing our mindset and trying new things, new approaches? I really like the way you describe the mental and physical aspects of playing piano or any instrument. It takes years of thoughtful practice and as in many sports today, the mental “game” is also being taught to new musicians. Breathing, relaxing, feeling the music. Thank you and please keep adding to your website. Thank you for your comment, Richard! Indeed, the ‘mental’ training you write about should be an indissoluble part of piano practice. This complex approach – integrating intellectual understanding, feeling, relaxation and many hours of tough practice is the only way to achieve a true mastery of the piano. Good luck, you’re always welcome to share your thoughts and your piano experience! Yes, the idea of balance of physical and mental is a very interesting aspect of piano playing. There should be a “consciousness” and a certain amount of effort in the area of mental, and physical, training for the serious pianist (hobbiest or otherwise). Your suggestions in this article and your others for a holistic development is uncommon and very refreshing to read. I do believe that with piano playing discipline (regular conscious practice, learning to relax and focus one’s mind, strengthening exercises , such as Yoga, etc.) truly makes one a better person than he or she was before! I find with the discipline of serious piano playing, that GRACE and LISTENING APPRECIATION are particularly developed over time. Thank you, Ilinca, for your articles. Please keep continuing to post when you can! (I would love to read your ideas about AGE —old and young—and about how this affects playing, ability improvement, etc, and what OLDER pianists, especially intermediate level players wanting to improve, like myself, can expect to achieve over 10, 20, 30 years). Thank you for your appreciation! I guess you just found a new name for the purpose I had in mind when creating this website: helping someone to become not only a better pianist, but also a better person – stronger, calmer, happier! I liked your idea – writing about how AGE affects the progress in piano playing. It’s actually a very interesting subject – I hope to find the time to develop it soon :). You have to take it one step at a time: begin with 2-3 easy pieces and an easy scale in 3 basic variations (in parallel motion, triad chords and chromatic scale). Practice correctly, in a relaxed manner, by using the entire weight of your arm and keeping your wrists as relaxed and flexible as possible. At the same time, try to keep your fingers rounded and make sure that your knuckles are forming a rounded ‘dome’. And don’t forget about your posture! This way, you will protect your arms from hand injuries (which are always tension-related) and you will also strengthen your fingers. You don’t need other exercises yet. Overworking your hands can be dangerous – that’s why you need to build your piano ‘endurance’ gradually. Don’t practice more than 45-60 minutes per day at the beginning. Gradually, increase the practice time and the difficulty of the pieces/scales. Click here to read a detailed description of the scale system we use in the Russian piano school – but don’t try to play all the variations from the start. Focus on the ones I mentioned above, and play them in C Major first, then move to A minor; then G Major and E Minor… and so on! Also, you can find lots of detailed video tutorials about scales and technical exercises on the Private Members Forum at PianoCareerAcademy.com. It’s an exclusive Piano Coaching Program where I share the unique secrets of the Russian piano school, also giving detailed, personalized, professional answers to each piano question! 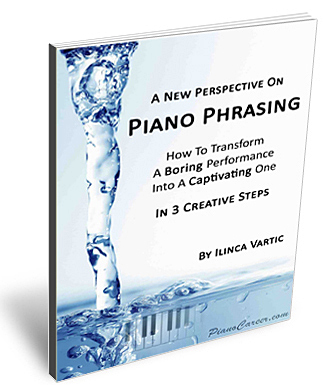 You can get a 10% discount if you subscribe to my email newsletter (and you’ll also get a free copy of my report ‘A New Perspective on Piano Phrasing‘). I’m really happy that you enjoyed the tutorials I posted on this site! Yes, burns and cuts are definitely very dangerous for pianists!!! For this reason, any cooking should be done with care and awareness – not mechanically! By the way, the same idea should be applied to our piano practice: when we play mindfully, we avoid tension-related muscle pain and hand injuries – thus making our practice enjoyable and productive! thanks,thanks,thanks!i’ve been playing piano for 8 years since i was almost 6 years old.after my fingersgot enjured twice during last year because of playing basketball,i was so afraid of doing sports!a few days ago i got a new fear:will knitting and making cotton bracelets which needs alot of handwork reduce the flexibility of my hands?i’m not sure about the answer,yet.but you gave me alot of hope that it will not! Yes, sports and other activities can be extremely beneficial for pianists – as long as they are done correctly, in a relaxed manner, without tension or exaggerated effort. When you’re knitting, make sure that you’re doing it without strain. Focus on the flexibility of your wrists and keep your entire arms as relaxed as possible! It’s good for me to train the forearms with weights?. I mean I have been practicing in the last months and I feel that my forearms get tired, so I decide to start training them with weigths and other grip excersises and really helped me a lot. Sorry about the delayed reply – my Piano Coaching Program at PianoCareerAcademy.com keeps me very busy! Yes, it’s ok to train your arms with weights, as long as you train correctly, keeping a proper form for each exercise and not forgetting to exhale at each effort. Plus, you have to keep in mind that your forearms get tired because of incorrect practice – and not because they’re weak. If you play correctly, from the entire relaxed weight of your arms, with flexible elbows and wrists – than your forearms will never get tired! But, of course, physical exercises are also very important – so keep the spirit! Hi there, i was wondering There was any advice on playing the correct notes fot arppregios accurately, i have my exam in a month and nothing seems to help me. Urgent!! But I have good news: the answers to your questions are already available on PianoCareerAcademy.com – in the form of detailed video and written tutorials. So feel free to register anytime – you’ll be warmly welcomed by our community – and I’ll be happy to guide you in your piano journey! 1. Keep your entire arms (shoulders, elbows wrists) entirely relaxed and flexible. 2. Practice slowly first, with flexible arms/wrists, and ‘channel’ the weight of your arms into your fingertips. This ‘trick’ will give you extra stability! 3. Keep your fingertips rounded, ‘crisp’ and precise. 4. Lift each finger very well before and after playing a certain note. 5. When you perform a thumb crossing, make sure your wrist is flexible and relaxed, ‘anticipating’ the movement of the thumb and bringing it to the needed place in advance. 6. Increase the tempo gradually – only when you can play with ease and accuracy (without any tension!!!) in a slow tempo. thank you for your wonderful website and splendid videos – I discovered them on YouTube recently and am very excited about the work you’re doing. Great job!!! I’m wondering if you might have some advice for me. I’m a conservatory-trained pianist, and ever since I practiced the Brahms 51 exercises, rather intensively, daily, during my last two years at the conservatory (which at the outset improved my technique by leaps and strides), I have suffered from chronic/intermittent fatigue in my fingers, often seemingly independent of how much practicing I have been doing. There is no pain and no ostensible injury; at the time I went to a famous doctor who specializes in musicians’ problems and he didn’t find anything wrong. When this fatigue is present, it completely sabotages my technique and I can hardly play, or play very poorly (this problem ruined my exams at the conservatory). My fingers are simply very tired, and my dexterity is accordingly drastically reduced. I have never met another pianist who had this problem of fingers getting tired so readily and then being practically unable to play. There are many moments and even periods when I am able to play normally, but this recurrent fatigue makes it extremely difficult to attain any kind of stable level in my playing. Do you know what I can do to heal this problem? I have very recently expermented with doing various improvised slow and gradual stretches of my fingers, hands, and wrists, and this is the very first thing I have ever tried that has helped. Are there stretches specifically for pianists that you know of and that you can recommend?